You will normally see pastel decoration in cottage houses because it creates a warm, friendly and making any one who visit your house feel welcome all the time. Pastel palette always symbolizes femininity and gentleness. However, pastel color can even be incorporated into masculine concept room. For those of you who have a cottage house and would like to decorate it with pastel-based colors, the most basic thing that you can apply is by using décor motifs like cottage-style or shabby chic. From here on you start to add any accessories which is suitable for your cottage house and matches the pastel colors in order to create dazzling looks that integrates nicely into your home. First thing that you need to do is to choose the base color for your cottage house room. You will notice that pastel colors usually incorporate lots of white color into their color tone plus also vary in depth of color. Most of the common pastel colors are light and would be able to highlight each other enabling them to mix and match easily when the need arise. Some of most often used pastel colors include pink, yellow, blue and green hues. You should be painting your cottage walls with a solid white or even consider to add pastel tones onto the walls. If you are using colors and you want to create contrast, you can paint your walls with pastel color while the ceiling should be white and your windows, door along with your baseboard trim should also be white. If you could change your existing flooring then you need to do it so that you can make your new décor stand out in the eyes of your guest. You need to remove any dark carpet if you are using one or tile as well as dark stained hardwood floor. You can simply change your hardwood flooring with light color or try to refinish your hardwood floor with light stain or painting the hardwood floor with white or pastel color or even adding light colored carpet on your kitchen floor or light tile. Even the furniture should have light finish to match the pastel décor that you are using. For those of you who already have dark colored chairs or sofas, you need to change them by adding light or white slip covers. You can even paint any of your wooden furniture in order to provide a lighter feeling into your cottage home. Make sure to not use veneer and dark wood, plus also avoid using any kind of metallic decorative materials. You can also use attractive pastel colored décor or even display your favorite accents that matches your pastel concept. Another decorative style that you can do is to paint seascape items such as starfish, fish and vintage fishing poles and lures. If you have a hurricane lamp you can fill it with white sand and seashells. In addition, vintage mason jars can also be decorated with light colored polished stones or polished glass pieces. Large pieces of faux coral can also be painted with light pastels of white or light blue that will definitely match your cottage theme wall. One more style that you can use is the usage of shutters as your window cover. 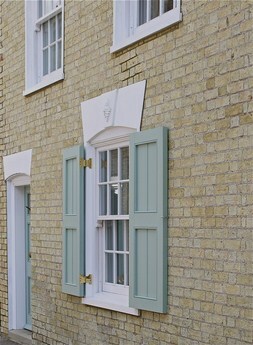 The shutters is usually come with light wood finish or painted in white color in order to complement your pastel walls. Lighting also plays a major role in helping you to highlight the pastel concept. You should be using lights designed with an ocean theme or lights that have sparkling crystal display or even purchase clear glass lamps where you can also decorate with seashells inside it. Finally, you should also consider having pastel flower arrangements that you can placed inside a large crystal vase. Apart from that, you can add some large shells in certain area or even use wicker, vintage signs, and old hand fans in order to complement your cottage theme. If you want the area to look softer you can simply add pillows designed with vintage bark cloth or pillows that uses chenille fabric. You can also place some green plants in certain area the help soften the look of your cottage house. You can even add holiday lights like the one you use during Christmas to be placed on your palm or ficus tree in order to create subtle lighting into your cottage home. Ensure that you paint each of your cottage walls using different pastel color so that you would be able to create a bright and airy look to the house. You can even look for ideas from decorating magazines and books as well as from the internet to see the latest home interior catalogs of easy living style of cottage decorating that you can use and apply onto your cottage home. As for your fabrics and pillows, you should stick to using light muted type of tones.